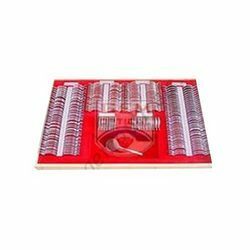 We offer an extensive range of ophthalmic instruments like Ophthalmic Microscope, Surgical Microscope, Applanation Tonometer, Tonometer, Camera, CCD Digital Camera, Eye Operating Microscope, Multipurpose Microscope, Slit Lamp, Synoptophore, Keratometer, Lensometer, Trial Lens set, Beam Splitter, Table Clamp Microscope, Camera Attachment, Binocular Tube, Assistant Viewing Binocular Tube, Motorised Table, Manual Table, Beam Splitter Attachment for CCD Camera and observation Tube, Assistant Scope, Ophthalmic Instruments, Indirect Ophthalmoscope, Direct Ophthalmoscope, Ophthalmic Trader, Ophthalmic Instruments & Equipment. We are a reckoned enterprise, which is engaged in delivering Surgical Ophthalmic Operating Microscope to the clients. 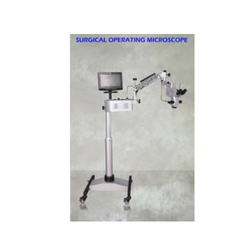 The offered range of surgical ophthalmic operating microscopes is made utilizing optimum grade raw material and innovative technology in strict conformation with the international quality norms and standards. Along with this, the offered range of surgical ophthalmic operating microscopes is suitably checked on different characteristics to maintain its authenticity throughout the designing process. 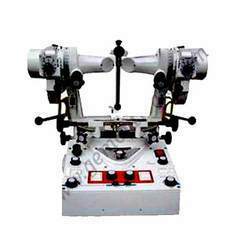 Our company is a recognized company manufacturing Ophthalmic Microscope. With their ease in handling they are also have versatility in opthalmology. Their quality and better functioning have made them a must in the field of eye operation. We are able to gain immense expertise in delivering Ophthalmic Operating Surgical Microscope at clients' premises. 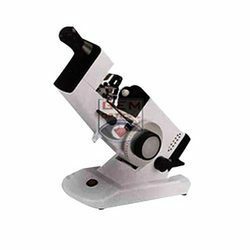 The offered range of ophthalmic operating surgical microscopes is available in different customized specifications and forms as per the diverse requirements of valued clients. Along with this, the offered range of ophthalmic operating surgical microscopes is suitably tested to maintain its authenticity throughout the designing process. Synoptophore is kind of diagnostic and remedial equipment. This is used to diagnose & treat binocular functions, such as strabismus, amblyopia, diplopia, etc., It is highly user friendly and available in the weight of 61 kg. Pictures of left and right can be moved up and down according axis: ±10? Automatical coruscation frequency: ten-step, 30-300times/minute. One on and the other off. 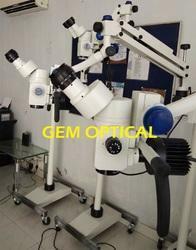 We are an eminent name, which is engaged in delivering Surgical Ophthalmic Microscope at clients' premises. The offered range of surgical ophthalmic microscopes is manufactured utilizing high grade raw material and innovative technology in complete adherence with the international quality norms. Along with this, the offered range of surgical ophthalmic microscopes is suitably checked on different characteristics to maintain its authenticity throughout the designing process. 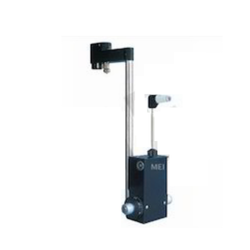 Applanation Tonometer is produced for those who wish the Tonometer to remain permanently on the slit lamp. 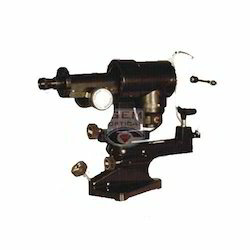 It is mounted on a pivot on the microscope and for examination is swung forward in front of the microscope. The Applanation surface is to be examined in a monocular manner through the left ocular. 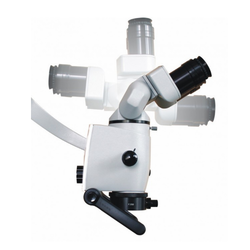 Keeping in sync with time, we are able to offer Ophthalmic Surgical Microscope to our respectable clients. 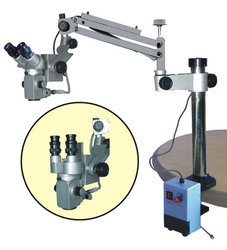 The offered range of ophthalmic surgical microscopes is made utilizing high grade raw material and innovative techniques in strict compliance with the international quality norms and standards. Moreover, the offered range of ophthalmic surgical microscopes is suitably checked on varied parameters to ensure that defect-free products are delivered at customers' premises. 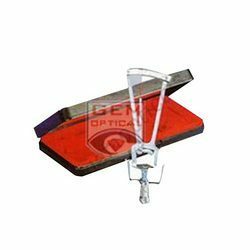 We offer a range of beam splitters and adopters, that are widely demanded as these help in obtaining optimum output coupling coefficient. These can also be used as variable beam splitters with an invariant direction (for reflected beams when used external to the cavity of any laser). With their ease in handling and better functioning, they are also has versatility in opthalmology. 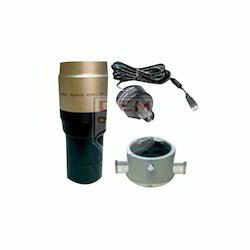 Further, we also provide customization as per clients' specifications. One position instruments. Measure both meridians without changing optical system. Tonometer according to Prof. Schiotz for measuring the Intra-Ocular pressure. All main parts are made of High Quality Brass and are chrome plated. Jewel insert in anvil assures a special life time of this precision instrument. Red needle enables easy reading of the scale. The instrument comes complete with 3 weights (5.5 gram, 7.5gram, 10 gram) and conversion table in modern black plastic case. Our trail lens have no set full sizes lenses. We are providing corrected curve trial lens set in 224 pieces. Its aluminum rings are 38mm diameter while lenses are 22mm. Spheres have tabs for holding lenses. Two sets each of plus (black) and minus (red) spheres from 12 D to 20D. Two sets each of cylinders in plus and minus from .12D to 6D. Ten prism lenses, two maddrods, stenopaeic slit, two occluders, a red filter and a green filter, and a pin hole. Come held in a tray that is mounted in a dark brown leather/vinyl briefcase that has two combination locks. 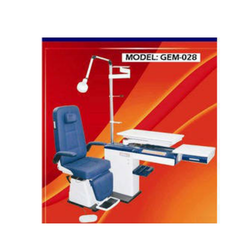 Looking for Ophthalmic Equipments ?